Ethnic clothes are preferred to be worn on traditional occasions. With a number of traditions and occasions coming one after the other every month, its best to always have options ready in your little girl's cupboard. 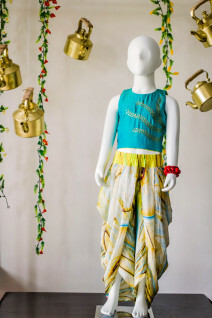 Olesia brings to you a range of kids' ethnic wear clothes. Go through our collection all-time favourite lehenga choli dresses to pick and choose the best one for your girl. 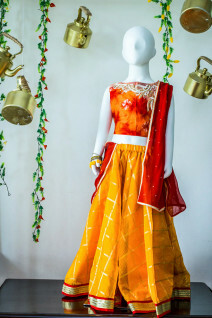 Festivals, traditional day, or occasions at school, your little girl is now ready with her ethnic wear clothing options. Our collection of kids’ ethnic wear includes dhoti style outfits, ethnic crop top, ethnic crop skirt, long kurta, pants with long kurta, etc. 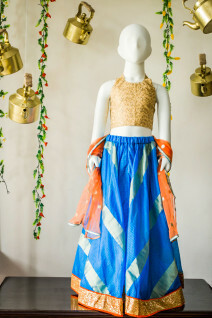 Little girls love to wear these outfits and present themselves in ethnic attire. With us, you will have the best of styles to choose from. Unlimited options and all curated for your little girl, what else does one want! 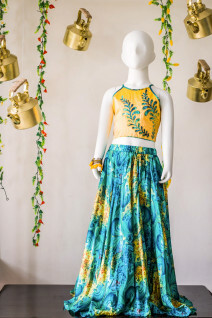 Our huge collection of lehenga choli styled dresses for kids revolve around the core comfort needs of the children. While shopping for the designer lehenga choli dresses at Olesia, you don’t need to compromise on style and comfort. Instead our collection of the premium lehenga choli dresses contains some of the most affordable and comfortable dresses for the children. Our team has spent a lot of thought in curating the most elegant collection of comfortable and stylish lehenga choli dresses for kids. The trend of mixing and matching clothes is big this season. You can choose a dhoti style outfit and mix it with an ethnic dress for a school traditional day event. 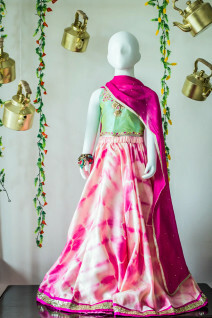 For a wedding, you can go with long ethnic skirts and match it with a nice dupatta and an ethnic crop top. 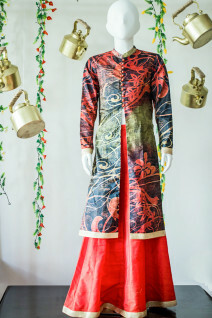 Long kurta along with pants for long kurta are apt for a traditional day outing. Kids are comfortable in these ethnic dresses as the fabric is of highest quality and keeps the kids feeling comfortable while moving around. Little girls enjoy flaunting their ethnic dresses when accessorized with the right jewels. Choose the most premium and timeless lehenga choli dresses for your little girl from our collection of beautiful ethnic outfits. Our fabrics make the ethnic clothes comfortable for kids. They do not itch or hurt with the embroidery or the ethnic work done on it. Little girls feel at ease when they wear the outfit and are able to move around freely. Fashion and comfort, both are equally important and giving that to little girls right from the start is very important. At Olesia, we understand that and hence we make sure all our outfits are made with the same love you shower on the kids. 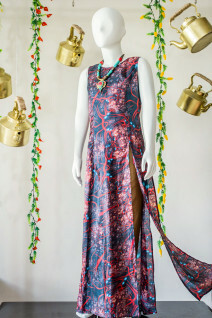 Thus, we give you correct information on the fabric used, options to choose from colour, prints, size, shades etc. Our collection ranges from pastel colours to bright colours to suit every kids fashion and style. 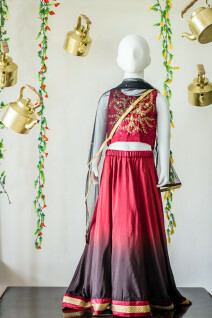 Depending on your needs, you can either go for a shiny lehenga choli dress or one with a slightly muted and elegant look. Olesia.co.in is your go-to place for the fashion industry’s latest lehenga choli dress designs. 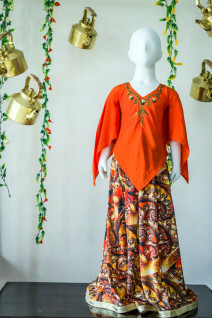 Therefore, when you think of a traditional occasion, think of Olesia for Kids Ethnic Outfits. Wide range of clothes to choose from and the best quality options is what you get here. Shop Online the trendiest designs for little girls. We curate all our outfits based on age so that little girls look their best every day. 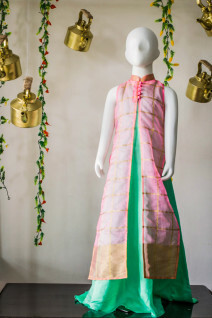 Check out our kids ethnic wear collection to know more.